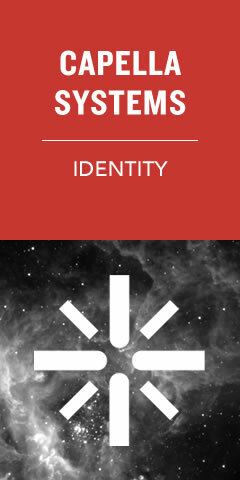 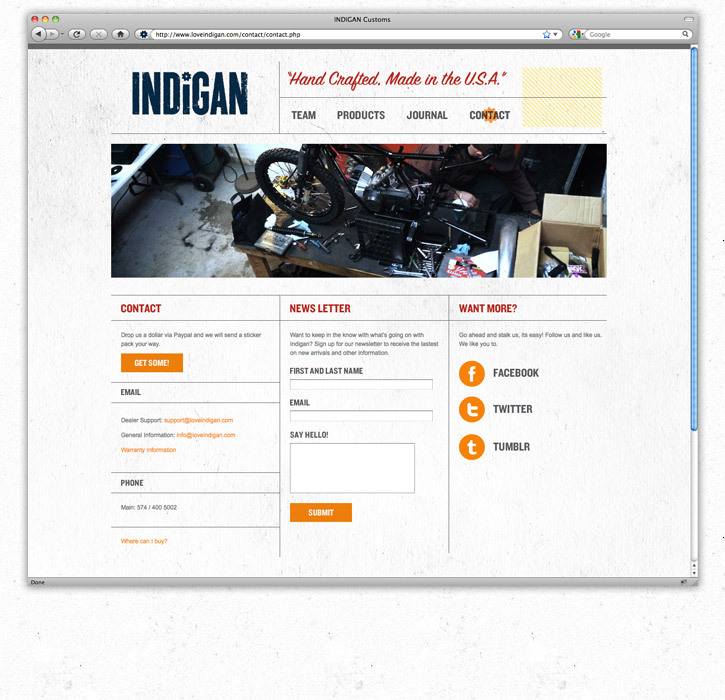 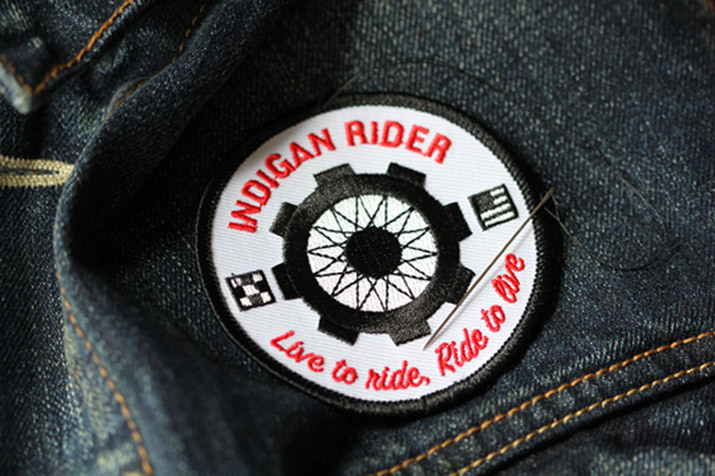 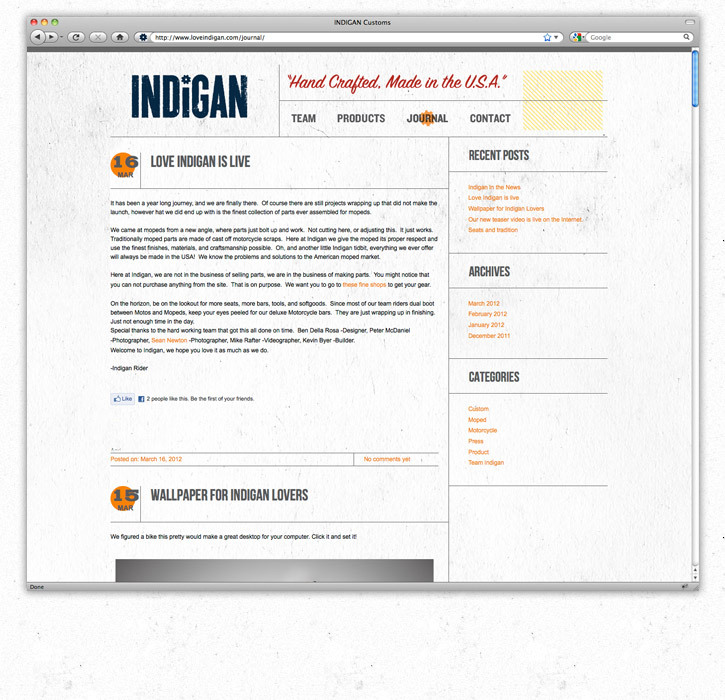 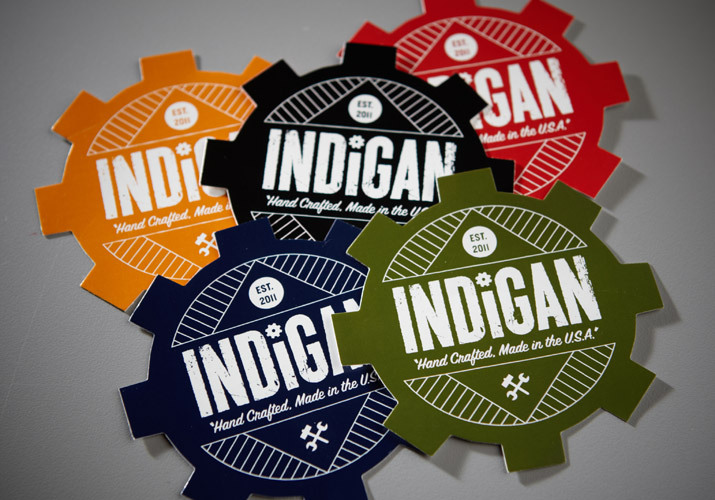 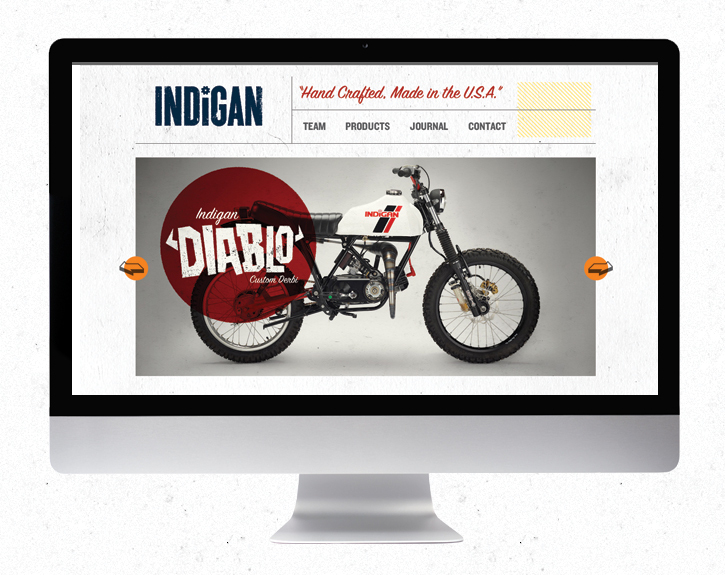 Indigan is a brand catering to everything on two wheels and the culture surrounding it. 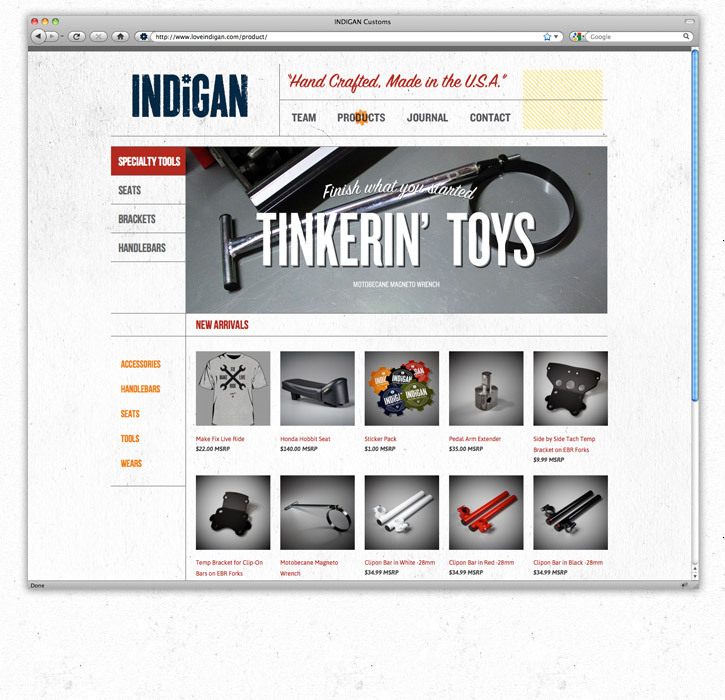 Indigan focuses on creating quality made parts designed and produced in the United States. 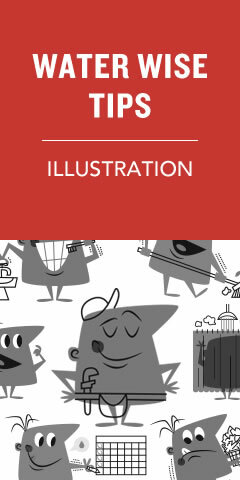 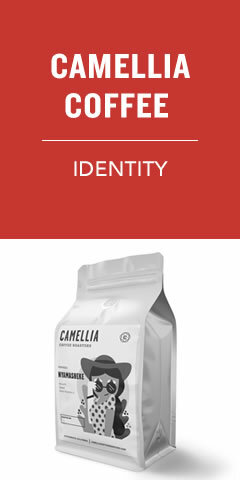 The brand was developed to reflect the heartland of working America, where the company is based and draws influence from 1950s and 60s advertising and post war WPA posters.